The Garden Day Programme is a 12-week, 12 Step-based, intensive, non-residential rehab programme for people with addiction/substance misuse issues who have already detoxed. We are located in a beautiful garden two minutes’ walk from the Kairos Linden Grove Abstinence-Support Hostel in Nunhead, London SE15, the residential centre for eligible clients. We can be reached by train to Peckham Rye or Nunhead stations, and by P12 or 78 bus. We operate a Monday to Friday timetable, 10am–3pm. 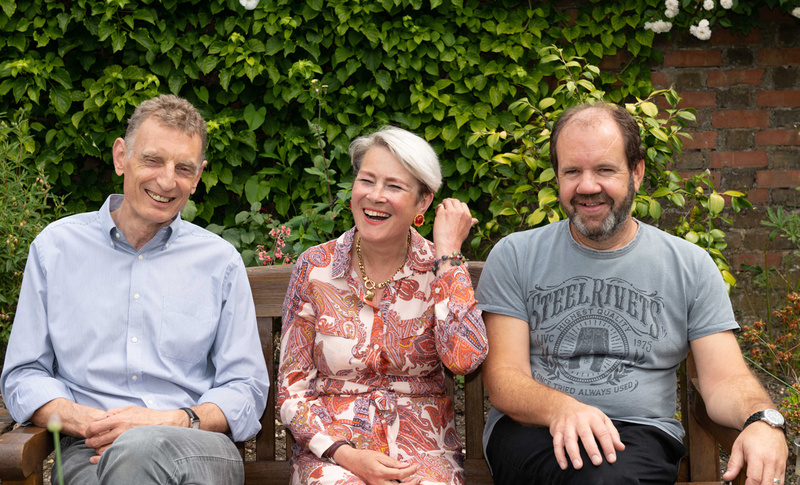 The Garden Day Programme team, L-R: Tim Penrice, Manager (MBACP, IGA Group Work Practitioner); Gillie Sliz, Assistant Manager (HCPC Chartered Counselling Psychologist and Group Therapist); and Simon Eve, Counsellor and Group Therapist (MBACP Accred). WHY DO WE USE GROUP THERAPY? The Garden Day Programme specialises in group therapy because we understand that most addiction related personal difficulties have their roots in early social/family relationships. We believe that group settings are the best and most powerfully effective place to explore and understand patterns of problematic behaviour and how to resolve these problems. The current cost is £400 per week.